Addictions of all kinds can lead to problems with relationships, career, and also with your money. 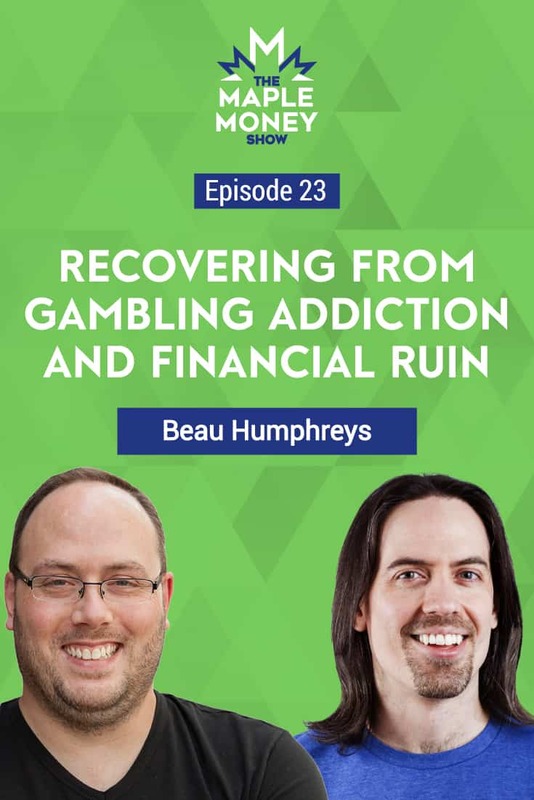 My guest this week, Beau Humphreys, leads us through the story of his gambling addiction, how it impacted his finances, and how he found recovery. Beau, who now blogs at Invest Wisely, and hosts his own podcast, explains how others can get help to overcome a gambling addiction. Beau and I discuss how his problem with gambling began at a very young age, and grew until it became unmanageable. He explains how credit cards only fueled his addiction, and how he finally reached a turning point. One of the keys to Beau’s recovery was to reach out for help, from a number of sources. He also utilized a legal process, called a Consumer Proposal, to pay down much of the debt he had accumulated. We find out exactly how it works, and how it helped to turn Beau’s life around. The average Canadian has over $24,000 of high interest credit card debt. This week’s sponsor, Borrowell, offers low interest, personal loans online, up to $35,000. Thousands of Canadians have relied on Borrowell for their personal loans. To see what you could qualify for, head on over to Borrowell. Beau explains how his gambling addiction began at age 11. Exploring the root causes of a gambling problem. The value of counselling, and why you should get help. How credit cards fueled Beau’s gambling addiction. Beau shares how he finally got out of debt. What a consumer proposal is and how it works.